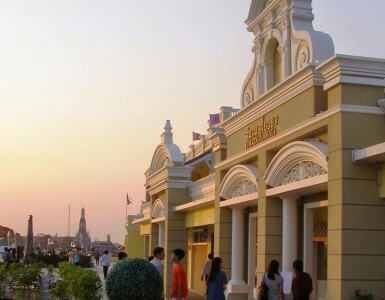 Another stop for Pratunam shopping lovers is The Palladium World Shopping Mall! 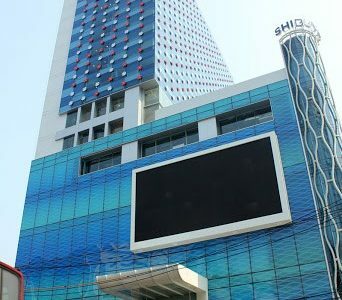 Right at the corner of Pratunam intersection, its grand facade includes eye-catching large LED signage that almost gives the area a New York Times Square feeling. Their extensive IT selection is the most recent addition that highlights all kinds of tech gadgets, equipment, phone accessories and even printing services. The rest of the spacious shopping center is devoted to fashion and accessories. The shops at The Palladium World Shopping are set up bazaar-style, with a variety of wares on offer. These range from trendy dresses, vintage clothing stores and wholesale fabric retailers. You can browse for university and school uniforms, and there is even a fancy costume shop renting and selling elaborate outfits! The basement is also a popular spot to get great deals for silver jewelry and other trendy bracelets, earrings and more. Take a break from shopping and recharge with a foot massage at one of the many massage shops. Or, grab a coffee at one of the coffee shops on the ground floor. 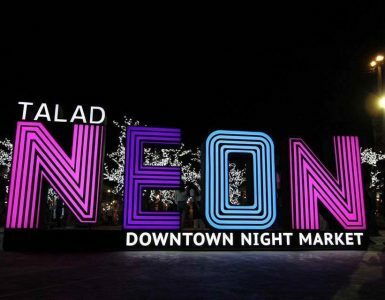 Once night falls, the area in front of The Palladium World Shopping awakens with many street vendors selling souvenirs and snacks. There are also frequent activities such as fashion shows, dance competitions and more to liven up the area.